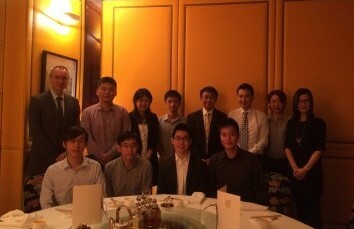 On 7th August 2014, at a lunch held in Hong Kong, Croucher Foundation Director Mr David Foster congratulated a group of young Hong Kong scientists, the most recent recipients of Croucher awards. A total of 17 young scientists were awarded Croucher Scholarships or Croucher Fellowships in 2014. They were selected in a competitive process including a paper-based preliminary screening and an interview with a panel of scientists including at least one expert in the specific field of each candidate. These talented individuals have been admitted to world-class universities and research institutes including Columbia, Harvard, Illionis, Massachusetts General Hospital, Stanford, Texas and Washington in the US; Cambridge and Oxford in the UK; Georg-August-Universitaet and Ulm in Germany and Karolinska Institutet in Sweden. Croucher Scholars and Fellows from previous years who had returned to Hong Kong and Croucher Innovation Awards recipients also joined the gathering. For a full list of 2014 Croucher Scholars and Croucher Fellows please click here.